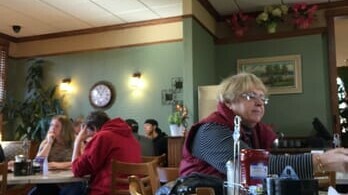 This is one of those great places where breakfast is served all day long and the staff keeps things homey and relaxed. With a menu offering hearty favorites like ribs, meatloaf, Swedish meatballs, and roast pork/chicken/turkey sandwiches, you won't go home hungry. Outdoor seating, private party room. Free pie on your birthday.